*This is an advertorial blog for Leeds Museums and Galleries. 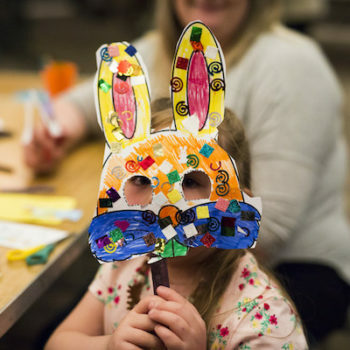 Head over to Leeds Museums and Galleries for an eggcellent Easter, from golden egg hunts to springtime babies and mystery matinees to mask making. Abbey House Museum will be celebrating all things superhero with crafts, murder mysteries and silly science. 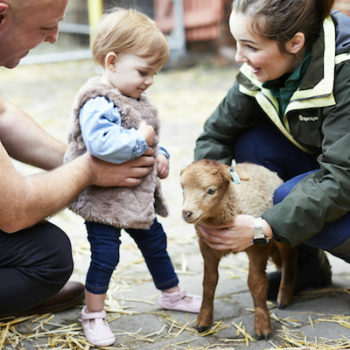 The Easter bunny will be stopping off to hand out sweet treats over the bank holiday weekend and his furry friends have hidden all around Kirkstall Abbey too! Track them down and take a leisurely spring time stroll through the ruins. For techno themed fun check out Temple Newsam and their Fantastical Beasts exhibition. 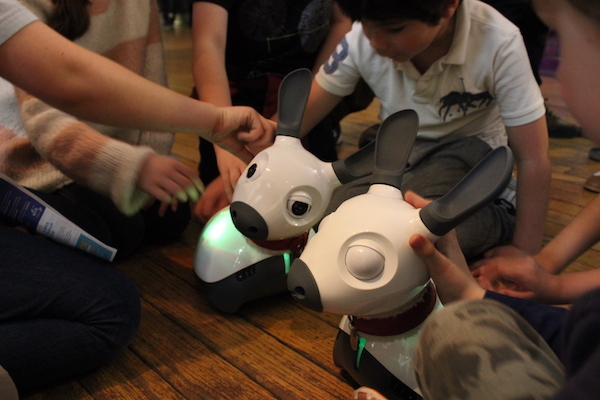 On 4 April they will be joined by MiRo the robot companion pet. 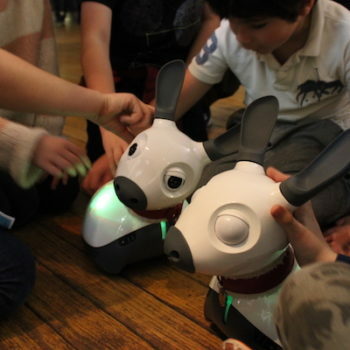 MiRo has been developed by scientists using research into animal behaviour. He responds to sound and touch and best of all loves making new friends! 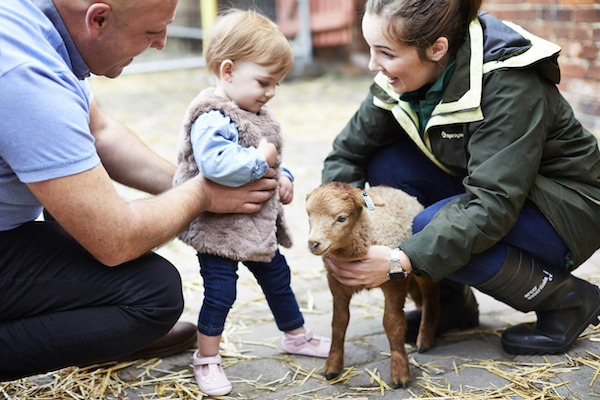 No visit to Temple Newsam would be complete without a trip to Home Farm and there are loads of baby farmyard friends to meet and greet as part of Springtime babies! For a creative holiday head to Leeds Industrial Museum and learn all about Letterpress at Armley Print Fest on 30 March. On drizzly days be sure to check out their Mystery Matinees too. The 1920s Palace Picture House can seat up to 25 guests and family tickets are priced at just £9. Screenings include family favourites and vintage classics so there’s a little bit of everything for every age and interest. If you’re heading by the city then Leeds City Museum has a whole load of warrior themed activities, from shield making to swashbuckling storytelling and visits from real life weaponry experts! 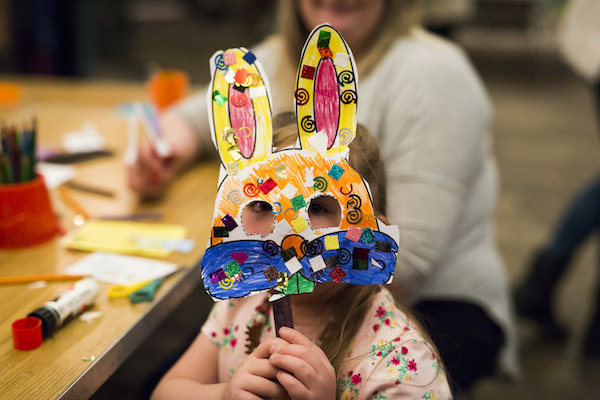 There’s messy family fun at Leeds Art Gallery’s Artspace and tours galore at Leeds Discovery Centreevery Thursday at 11am and 2pm. Check out their historical gadget show as part of the 2019 Leeds Festival of Science. On 3 April there’s a free family-friendly workshop and behind the scenes tour for any wannabe inventors out there. Meanwhile, Lotherton are planning a whole month of fairy tale themed family fun. Fall down the rabbit hole, follow the white rabbit’s trail and get creative with kooky crafts. The Mad Hatter’s Tea Party will be taking place each Wednesday during April along with Flamingo Fun in the Nestbox Education Centre. There’s plenty of feathered flamingo friends in Wildlife World if you want to take inspiration from the real thing! Speaking of wildlife, head over to Thwaite Watermill, grab an adventure pack and take in the sights and sounds of the nature trail. There’s plenty of family activities to keep everyone entertained with Creative Tuesdays and Experimental Thursdays and plenty of pretty spots for picnics if the weather is fine and fancy!